In the book, he describes what there is to do in each location as well as important travel information like visa requirements, methods of transportation, historical context, tourist attractions, and what I enjoyed the most safety information and his favorite part of each location. As I was reading, I almost felt like I was in the specific location that Brian was describing. The book is split up geographically so it’s fun to learn about what places are next to each other and the differences and similarities between each location. He also describes alternate ways of getting from point A to point B. I love flying (I’m an aerospace engineer) but sometimes travel requires you to think outside the box and take different methods of transportation including train, bus, or a ship. I love how he’s been to so many places (over 190 countries) and he doesn’t just describe your typical tourist destinations, he describes the off the beaten paths that many travelers like to explore. Brian shares fun facts and historical context about each place that he’s visited…as well as helpful travel information. All of this travel information can of course be researched online but there is sometimes too much information online that it can be overwhelming for a person new to international travel. 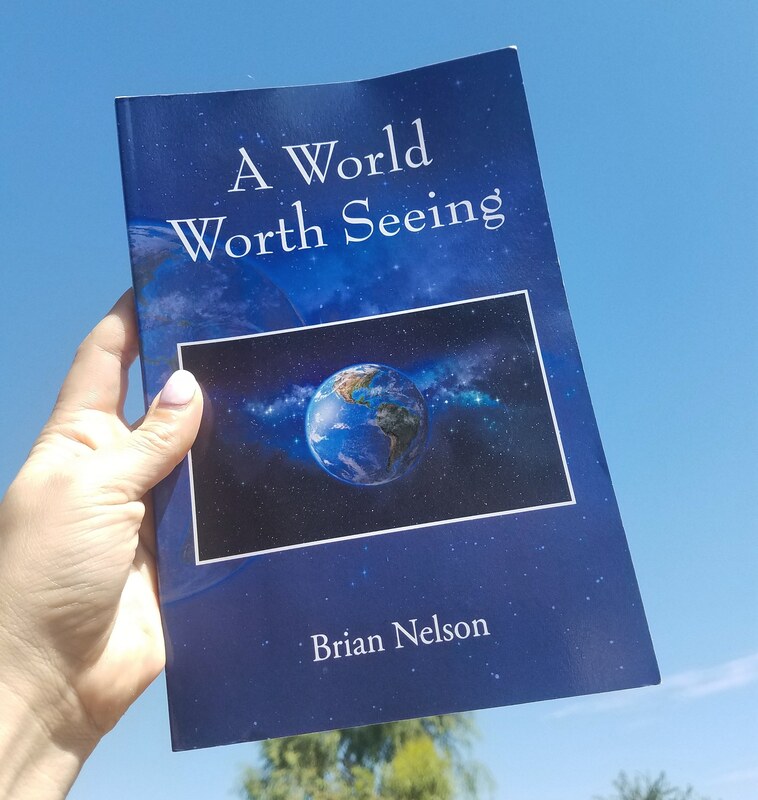 As I was reading ‘A World Worth Seeing’, I felt like a dear friend of mine was telling me about his travel experiences and I think that is the best way to describe this book. It’s a book written by an ordinary person who just wants to inspire you to see the world and he does it in such a non-intimidating way. He makes the world seem smaller and travel seem more attainable, because he’s just a regular person who made the decision to see the world. He is not swimming in money, his job doesn’t give him unlimited business trips, but he decided that he wanted to see the world and so he is doing it. And if he can do it, why can’t you? I have a personal travel goal of visiting all 50 states in the USA and when I tell people, they usually ask me if I’m sure that I want to see ALL 50 states because according to them ‘there’s nothing to see in a lot of states’. To which I respond that there is always something to see, something to learn, and something to try in every place. Brian brings this way of thinking to life in his book, loud and clear. He does this by sharing what to see, eat, and do in every place including the tiniest countries you may have never heard of. I’ll leave you with my favorite quote from the book: ‘If you have no desire to travel, maybe you can still enjoy knowing the world is not to be feared. If you have an idea to travel the world, perhaps this will help you decide to get your passport and go. The world is waiting’. If you’d like to purchase a copy of the book, the book is available for purchase on Amazon. Thank you again to Brian Nelson for partnering with me and for inspiring me to travel even more! I will be giving away a copy of this book to an Enthusiastic reader! All you have to do is leave a comment on this blog post, Facebook, or Instagram and tell me what country you are most excited to visit! Every comment will win you an entry into this giveaway, the more places you comment, the higher chance of winning! The winner will be announced on Thursday, good luck! < Previous 8 Photos To Inspire You To Visit Smither Park in Houston! Next > My Running Journey: Why I Started And Why I Still Run!